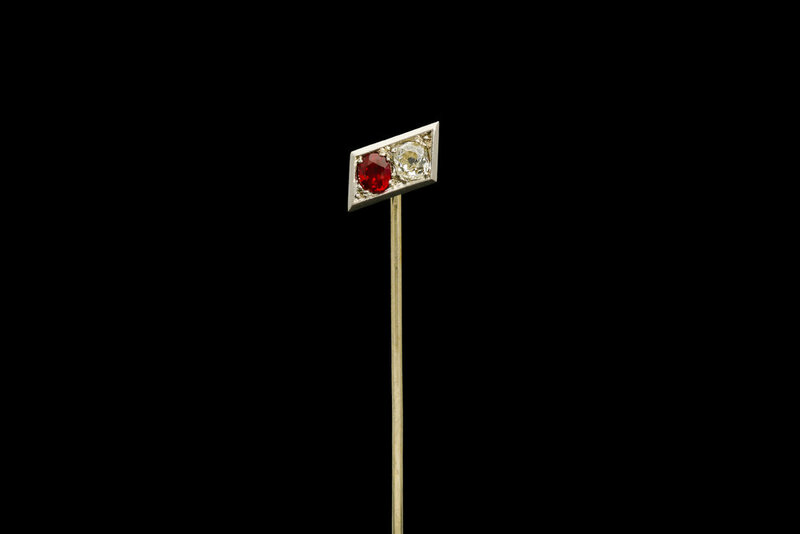 A delicious Art Deco Burmese ruby and diamond geometric stick pin set in platinum. The platinum geometric framed panel is set with an oval cut Burmese ruby and an Old European cut diamond. On a full platinum pin. Estimated Burmese ruby weight: 0.22cts. Estimated diamond weight: 0.18cts. Assessed diamond colour: I. Assessed diamond clarity: VS2.